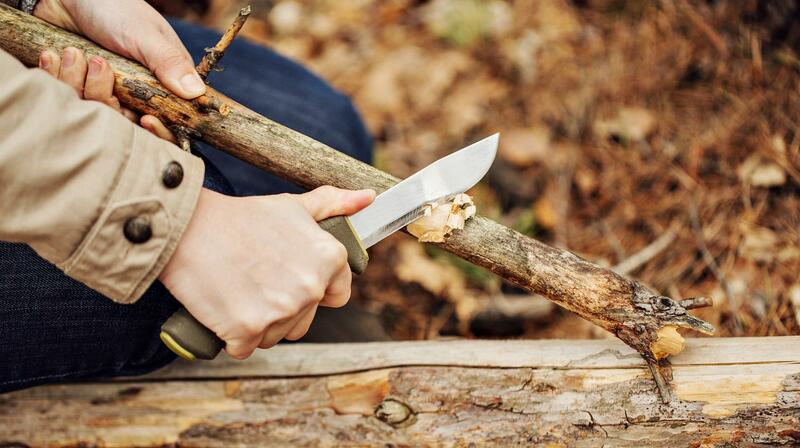 Upgrade your bushcraft skills with these 20+ wilderness survival ideas. Bushcraft skills use the natural materials around to get food, build shelter, and defend yourself. As a survivalist, you need to learn not just one but as many bushcraft survival skills as you can. After learning, you should be able to apply them properly. This way, you can increase your survival, especially when faced with difficult situations. These people learned invaluable survival lessons the hard way, which you should take for granted. Their experience will provide you with the learning you will never get from any other resource. There are bushcraft techniques, and there are necessary bushcraft skills. Do you see the difference? The latter means knowing basic survival skills. They are much easier to learn for beginners while active preppers can modify their strategies based on these foundational principles. If you need to spend the night in the wilderness, a bushcraft shelter becomes a must. After all, you need to protect yourself from the elements (including dangerous animals). You don’t need to be a master woodsman when it comes to shelter building in the wilderness. You can learn how to build an emergency shelter for your bushcraft camp. Now you know how to build a shelter. Here’s a scenario, though: what if there’s a storm coming or a strong wind blowing? The first step is to seek cover. If you can’t, you can consider fortifying your makeshift shelter withstand the elements. You can do that by making your own survival cement! Doing this can also mean being able to cook inside without worrying too much about your home catching fire. To know how to make survival cement is definitely an important skill for survival which is beyond primitive skills. Make sure you know how to use non-conventional materials as a rope if you don’t have anything handy. You can also invest in cheap bushcraft supplies such as a paracord. Cordage is an important bushcraft camping equipment you should always have in hand. You, though, need to pair it with the knowledge on which knot is the right one for the task. Master these knots to prepare yourself for any situation. You can instead use your feet to keep the cord in place. Then create some friction by doing sawing motions until you can sever the cord to your desired length. You can tie down your tent to survival bow and arrows or set up traps. If you find yourself or someone hurt, you can make a tourniquet out of them. What is a tourniquet? This is a device used to constrict blood flow to a wounded part of the body. What if you forgot or lost your can opener? It doesn’t mean your canned goods are suddenly deadweight. Learn how to open a can without a can opener. This amazing bushcraft skill will make sure you have your fill whenever you get hungry. Different firewood types have their respective pros and cons. Having the ability to determine which ones make the best firewood will surely make your stay around the campfire enjoyable. Brush up on your bushcraft skills by making sure you know what types of trees are growing in your neighborhood. Then know which works best for campfires in extreme conditions. One of the smart ways to make fire starters is by dipping cotton balls in Vaseline. With one strike of flint, it will most likely catch fire. Be sure to practice precaution when disposing of this starter to avoid accidentally starting fires around your camp. One of the basics of bushcraft skills is being able to ingeniously utilize anything for your survival. These include gum wrappers! These little fire starters are often in your pockets anyway. Refrain from throwing them away as they can still come in handy. One of the essential bushcraft skills is starting a fire. With it, you can keep yourself warm, insulate your camp, and cook your food. You may even drive away scary animals. Above, you know you can start a fire using everyday household items as flint. What if you don’t have anything to create a spark? You can actually start a fire in other ways. You don’t have to use a lighter, a match, a fire starter, and a lighter. With the proper know-how and tools on hand, you’ll be one heck of a fire starter. Improve your accuracy by adding accessories, such as a rope-cocking device and a bipod/monopod. Make sure you have the correct bolt and spine for your crossbow! Knowing the different fishing techniques can spell the difference between feast and famine. Some of them are ideal for certain bodies of water or fish. Either way, when you master them, you can give yourself the best chance of surviving the wilderness. You can nourish yourself with healthy food. What’s the best fishing knot for your fishing line? Learn to tie a knot for fly fishing or how to do a clinch knot, Palomar knot, and the loop knot. Perfect these, and you’ll have one of the most valuable bushcraft skills. Do you desperately want to learn how to fish? There’s no easy way than by learning the basics, but you can also know some shortcuts. There are so many tips and tricks to catch fish. With these unique ideas, you’ll soon be fishing like a pro. One of the bushcraft knife skills to learn is how to convert your neck knife or wallet into a fire starter kit. All you need is a 550 paracord, duct tape, and ferrocerium rod. Then add some creativity, and your neck knife and wallet can be instant light a camp! Learning the different safety tips in handling fixed-blade knives begins when you reach for it. You have to keep two things in mind: the point and the long edge. Proper handling of your tools can heighten your survival skills anywhere. Sometimes, it’s not enough to master every bushcraft skill if your mental state isn’t suited for the outdoors. The ability to stay calm under any wilderness situation will play a key role in your survival. Bushcraft skills can take some time to master, but they will always be worth your while. They can prepare you for the worst, boost your confidence and help you survive even the direst situation. With patience and determination, you can learn them. Do you know of other bushcraft skills? Share them in the comments section below! Pragmatic 25 list vital for the survival during adverse condition. Anyone needs to read this post.